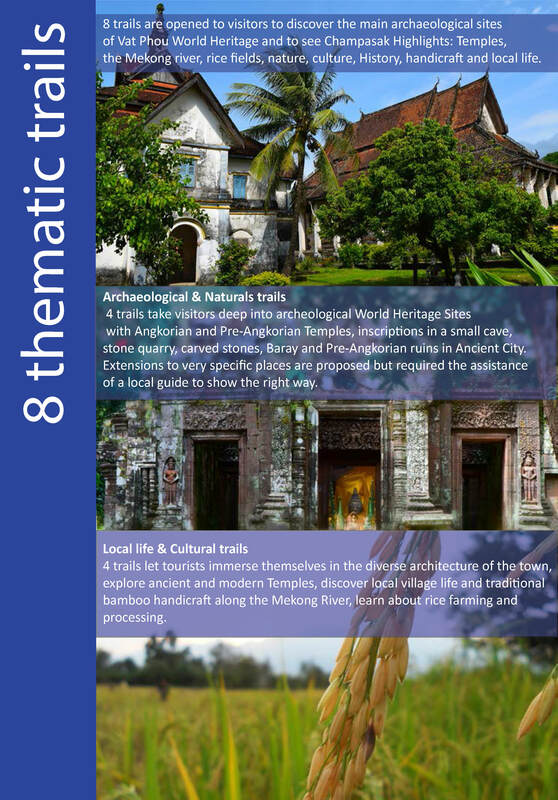 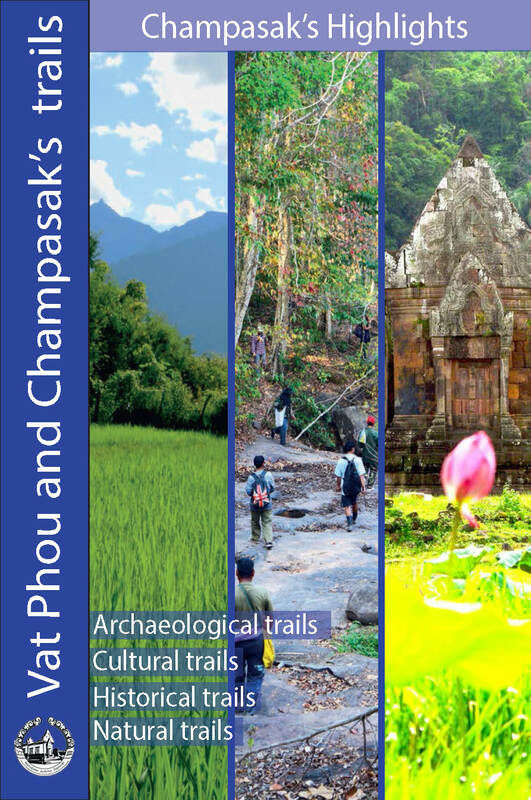 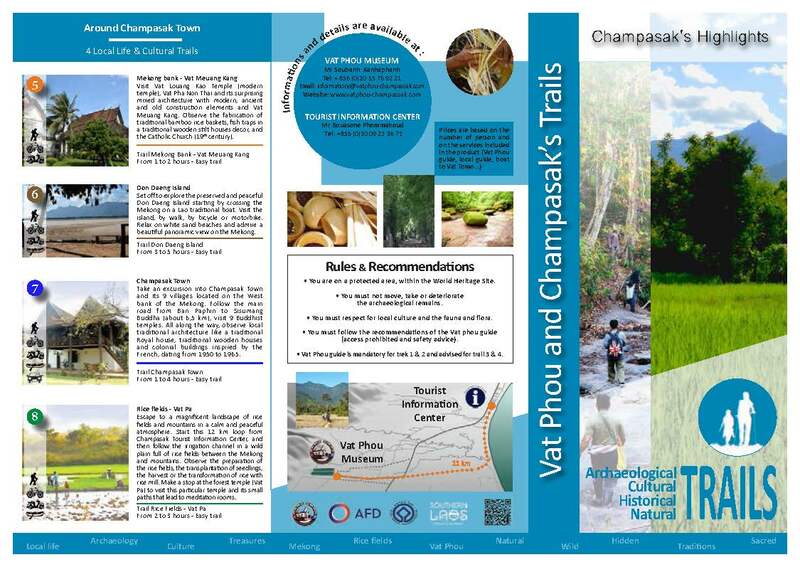 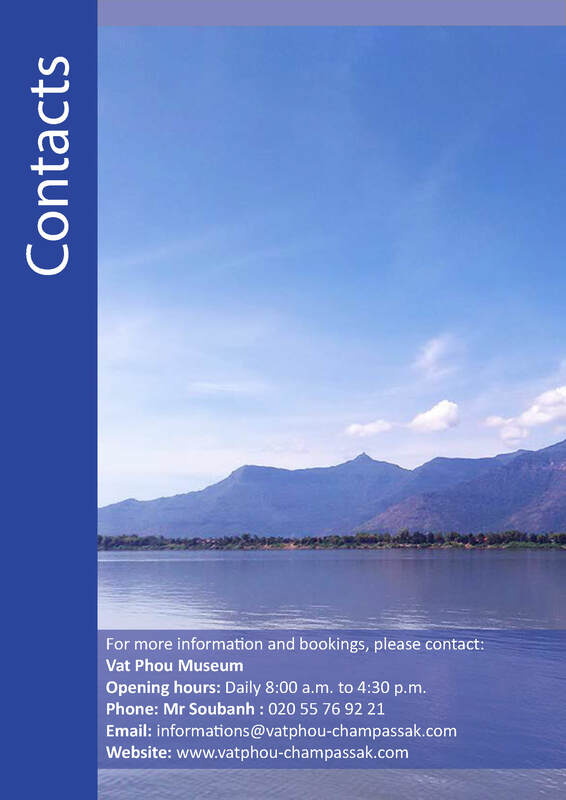 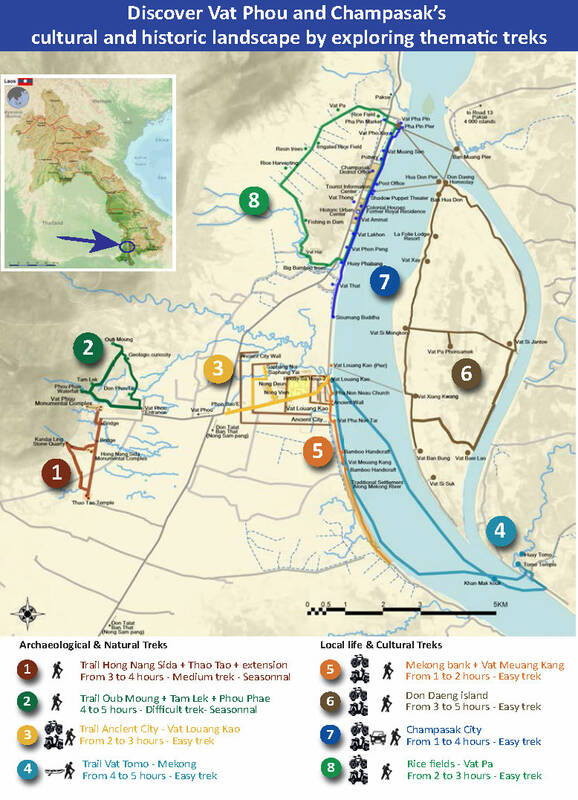 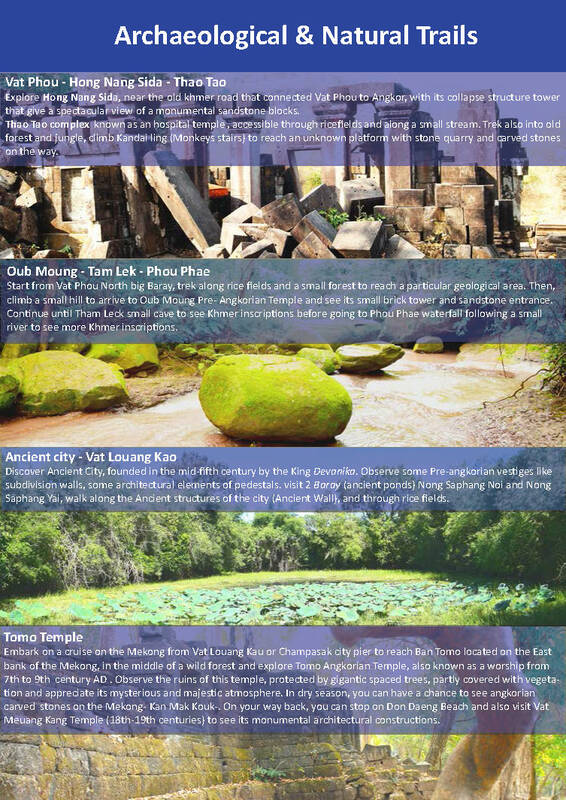 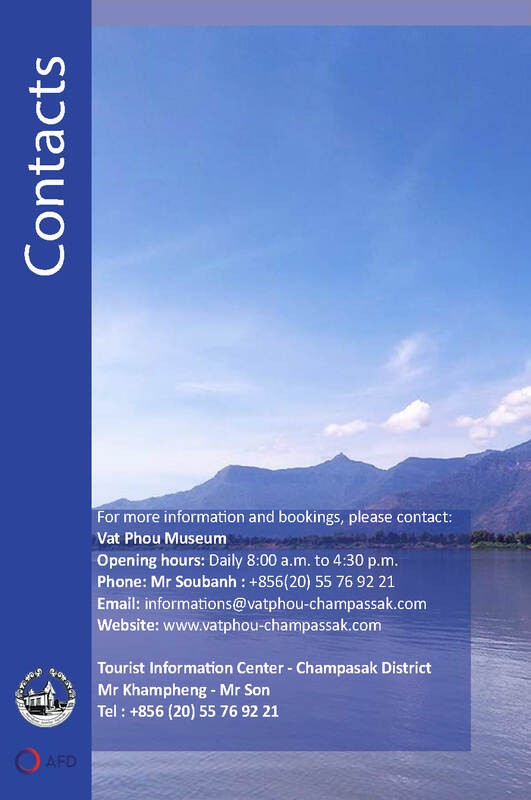 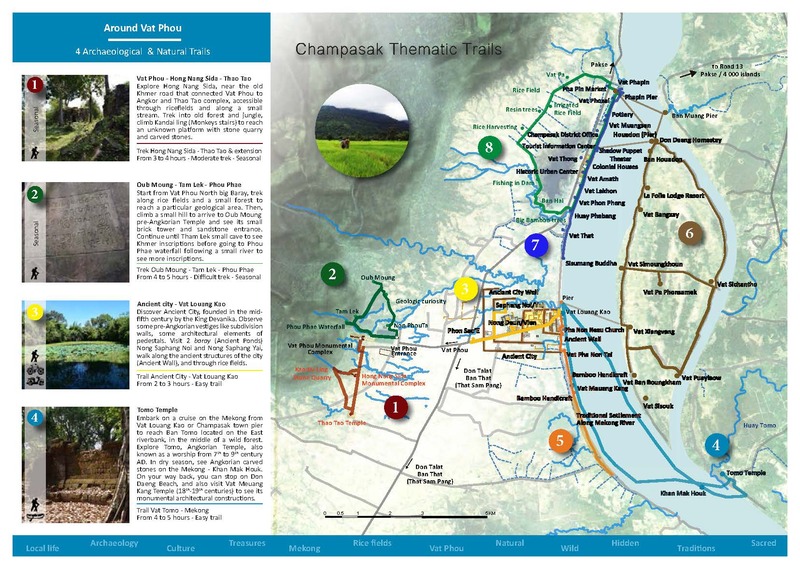 8 trails are opened to visitors to discover the main archaeological sites of Vat Phou World Heritage and to see Champasak Highlights: Temples, the Mekong river, rice fields, nature, culture, History, handicraft and local life. 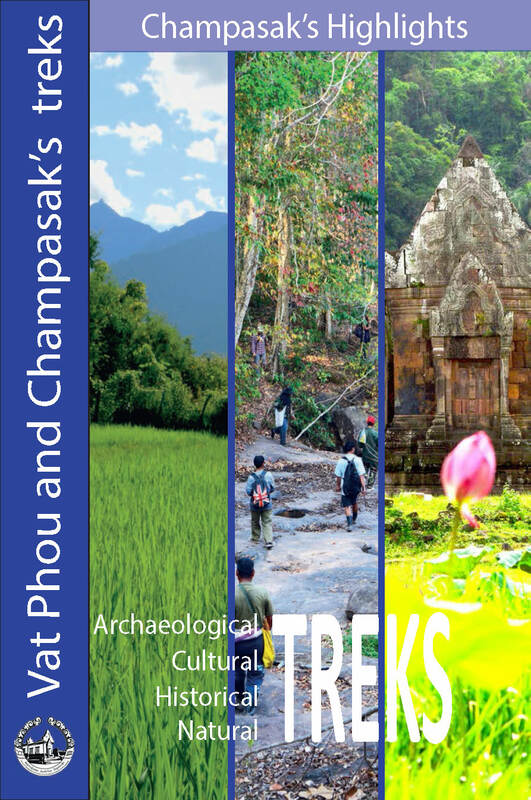 4 trails take visitors deep into archeological World Heritage Sites with Angkorian and Pre-Angkorian Temples, inscriptions in a small cave, stone quarry, carved stones, Baray and Pre-Angkorian ruins in Ancient City. 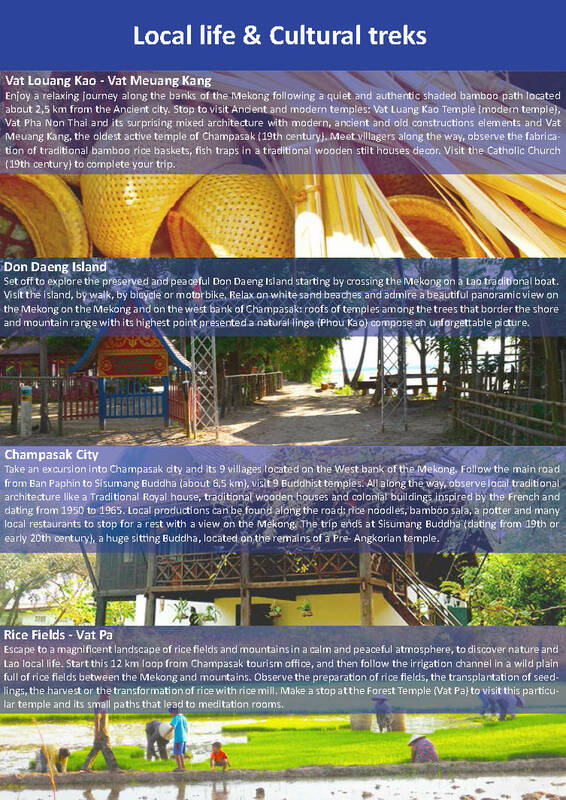 Extensions to very specific places are proposed but required the assistance of a local guide to show the right way. 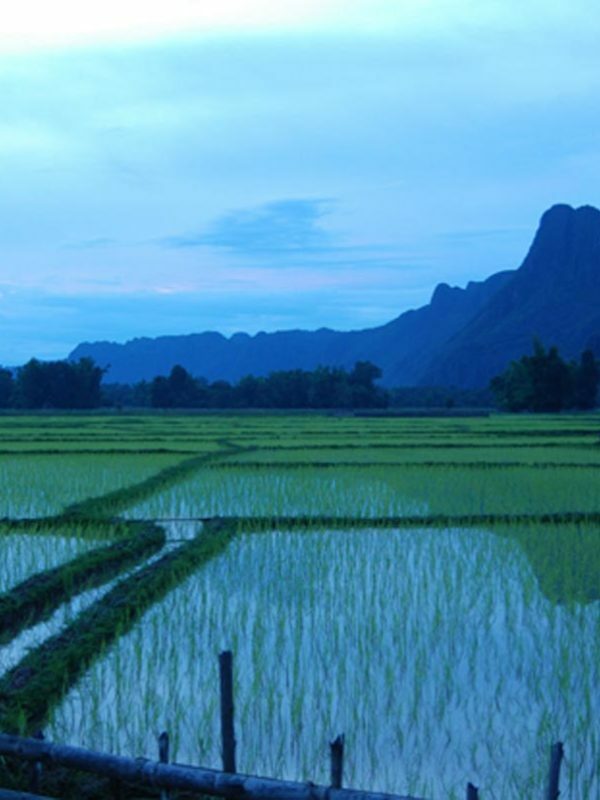 4 trails let tourists immerse themselves in the diverse architecture of the town, explore ancient and modern Temples, discover local village life and traditional bamboo handicraft along the Mekong River, learn about rice farming and processing.